Minami-Daito Island, an island formed by the raising of coral atolls, has shifted from its original location near New Guinea over the course of around 48 million years, and to this day continues to move approximately 5-7cm a year towards Okinawa Island. Because the island has no beaches and is surrounded 360 degrees by cliffs, the island is inhabited by many unique species that are unaffected by non-native species. 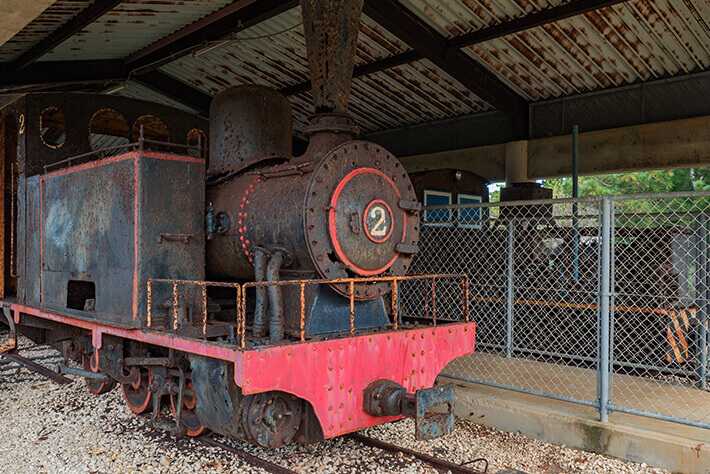 It has been over 100 years since Tamaoki Han’emon traveled from Hachijo Island during the Meiji period and began a full-scale development. 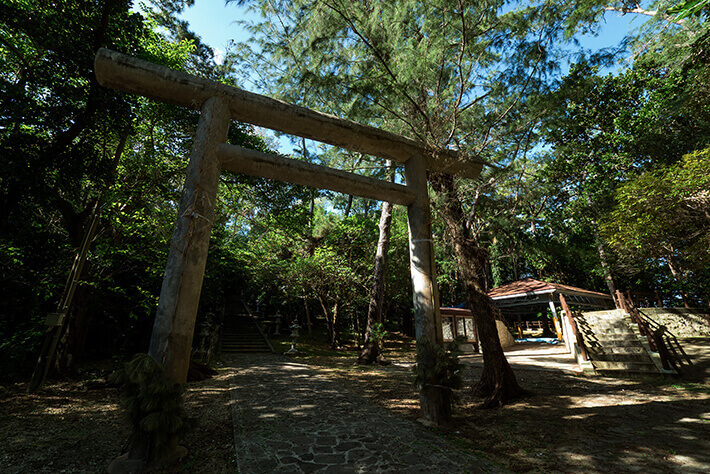 With an untouched natural environment that provides the feeling of 48 million years ago and a unique culture created by the mingling of the Ryukyu Kingdom and Hachijo Island, the island carries a charm like no other. 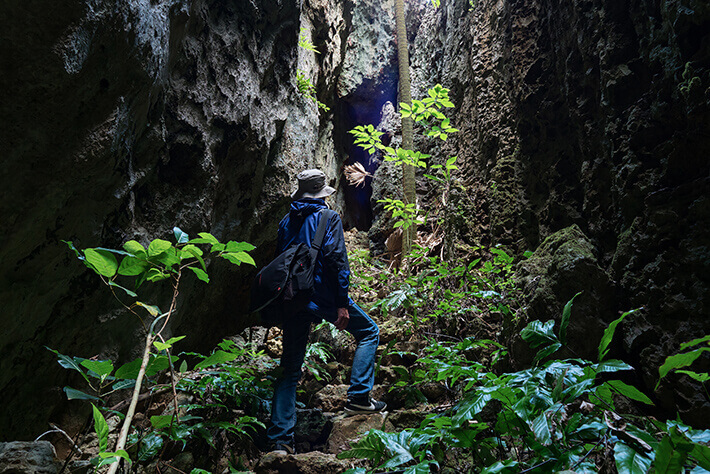 Limestone rock formations created from coral reefs are found throughout most islands in the Okinawa archipelago, forming countless limestone caves. 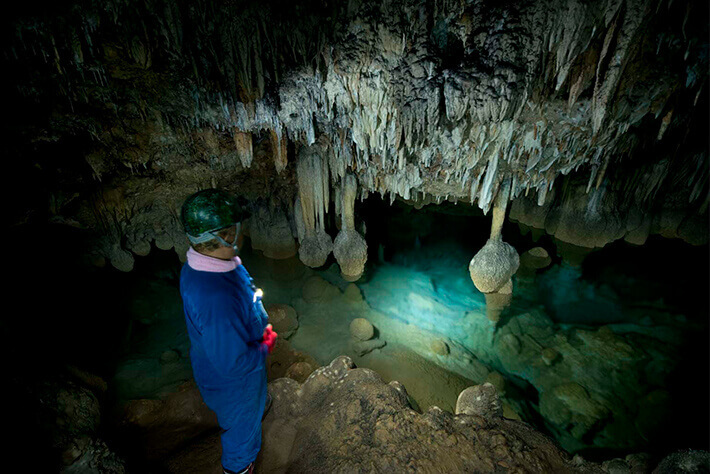 In particular, Minami-Daito Island boasts over 100 currently known limestone caves, with Hoshino Cave being of the largest scale among them. As you descend from the doorway that sits in the middle of a sugarcane field, countless stalactites spread to create an extraordinary space. 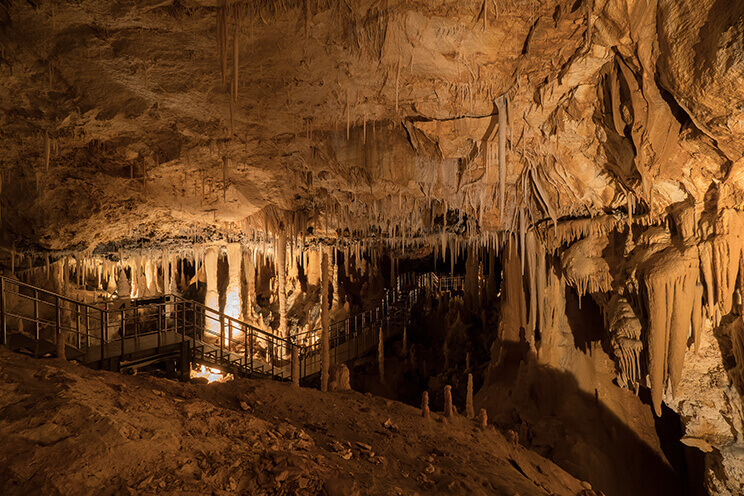 In its fully preserved state, this limestone cave is said to be of high academic value. Completely surrounded by cliffs, Minami-Daito Island takes the form of a tray of greenery floating on the sea. Due to the characteristics of the terrain, there are few locations of high elevation, but the Hinomaru Mountain Observatory is located on a raised edge, allowing you to enjoy a panoramic view of the island. 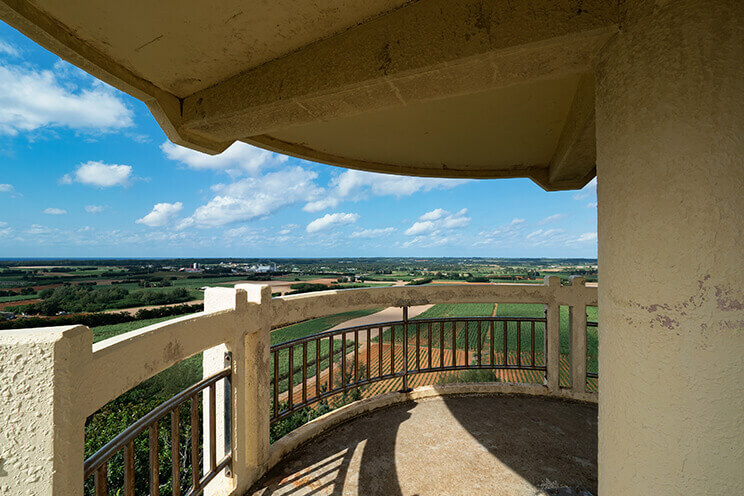 Directly surrounding the observatory are fields of sugarcane, the staple crop of the island, and beyond that a background of raised land enclosing the island like a wall and the raging sea spreading in the distance. 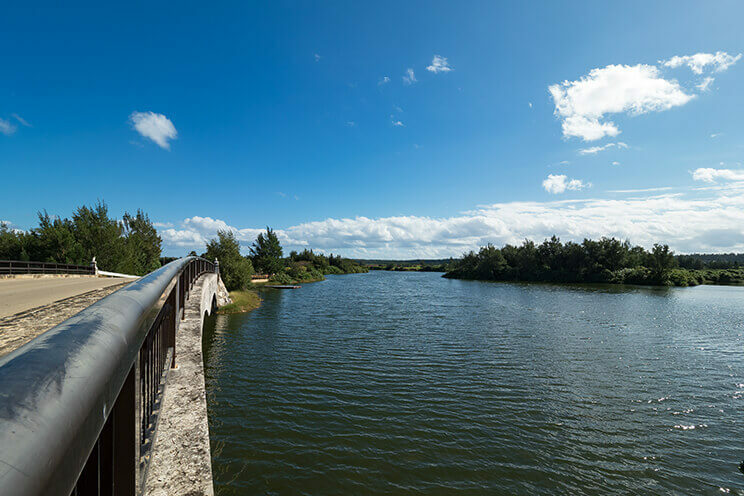 Located within Minami-Daito Island are over 100 small bodies of water, with the largest being a freshwater pond known as Oike, which has mangroves that are typical to seawater growing wildly. Considered a very precious ecosystem within the botanical world, “Oike no Ohirugi Gunraku” has been designated a Natural Monument of Japan. 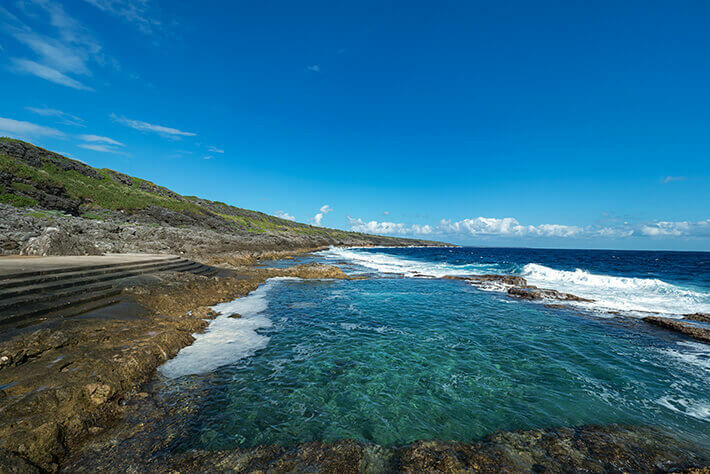 As of today, there are said to be 14 natural bodies of water of 1 hectare or larger within Okinawa Prefecture, all of which are located on Minami-Daito Island.